I have fairly oily and acne prone skin, and whenever I look for a foundation I feel like I’m in an endless search. Because of my oily skin I find it difficult to find a product that doesn’t melt off my face in an hour (especially during the summer) that doesn’t have a matte finish. I find that matte finishes tend to be too heavy and rarely look like real skin on me. So to break it down I want a foundation with a natural finish that feels light on my skin, covers the bulk of the redness on my face (thank you acne), and lasts for most of the day without touchups. This is surprisingly hard to find considering the endless amount of options on the market. 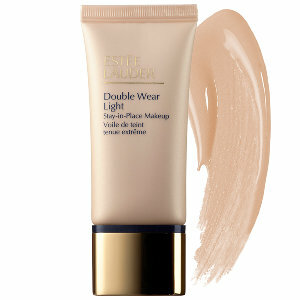 That is until I found Estée Lauder’s Double Wear Light Stay-in-Place Makeup ($37). Estée Lauder first released the Double Wear Stay-in-Place Makeup ($37), but when many people found it too heavy they decided to release a lighter version and ended up creating my current favorite foundation. I’ve never tried the original Double Wear formula, but it must be heavy because I find the light version to have medium coverage. I have fairly pale skin so I purchased the shade 1.0 light creamy beige and find it to be a good color match. I wear the Double Wear Light formula almost everyday and find it lasts most of the day without touchups (and even through workouts if I go to the gym after applying makeup), it also evens out my complexion despite the amount of redness on my skin (although I still apply a little concealer on blemishes), and it manages to look like real skin. The only thing I would change is adding SPF to the formula, I already wear sunscreen everyday (rain or shine), but I like having the extra barrier. Before I used the Double Wear Light Foundation I never looked into Estée Lauder products. I always thought of them as your mother’s (or even grandmother’s) makeup. The packaging never interested me and the advertisements never screamed “Buy me, I am the one for YOU!” like so many other companies had before (Marc Jacobs, Dior, Bite, and YSL to name a few). Now that I have been initiated into the world of Estée Lauder the packaging still doesn’t wow me, but I find myself wanting to try everything they release because who knows maybe I’ll find another gem inside an uninteresting case.